Estimators can calculate a Selling Price for a Quote based on a generated Rate Card. 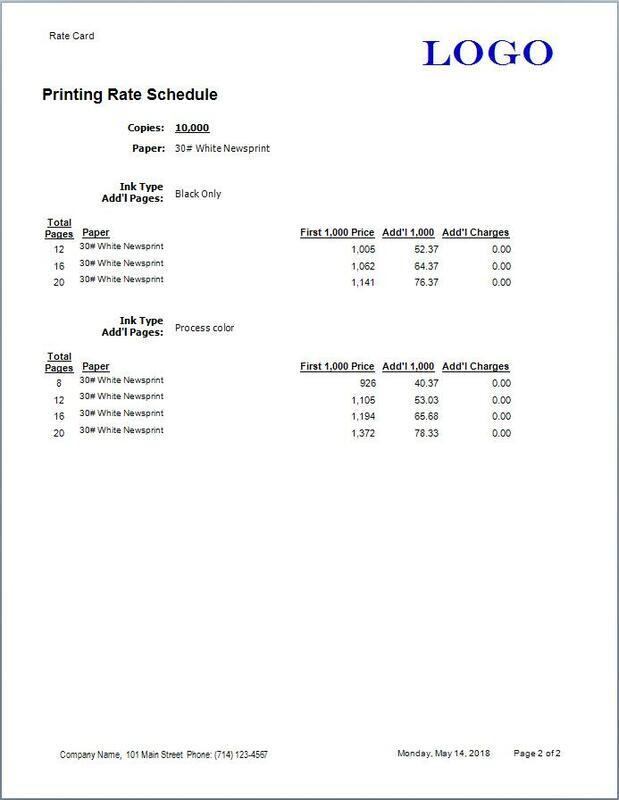 Built using different page count scenarios, the Rate Card calculates an accurate First 1,000 and Additional 1,000's prices. Customers then use that Rate Card to set the Selling Price based on the desired quantity. When the Presstimator builds a Rate Card, an accurate First 1,000 price is determined so you can be sure you are covering your costs, no matter what quantity a customer selects. Use the custom report layout tool to design the Rate Card report that allows customers to view selling prices for various options. Track the accuracy of your Rate Card estimates using the Estimate Analysis and Profit Analysis Reports, and track your goals and projections using the Customer Trends Report. Walk through a Rate Card PDF example here. Rate Card Build a Rate Card for different page counts and color scenarios. The Presstimator calculates the First 1,000 and Additional 1,000's costs to be sure you have an accurate Rate Card calculated on your actual costs, and a selling price based on your markup scheme. Reports Use the simple drag-and-drop functionality to design report templates for your Rate Card reports. 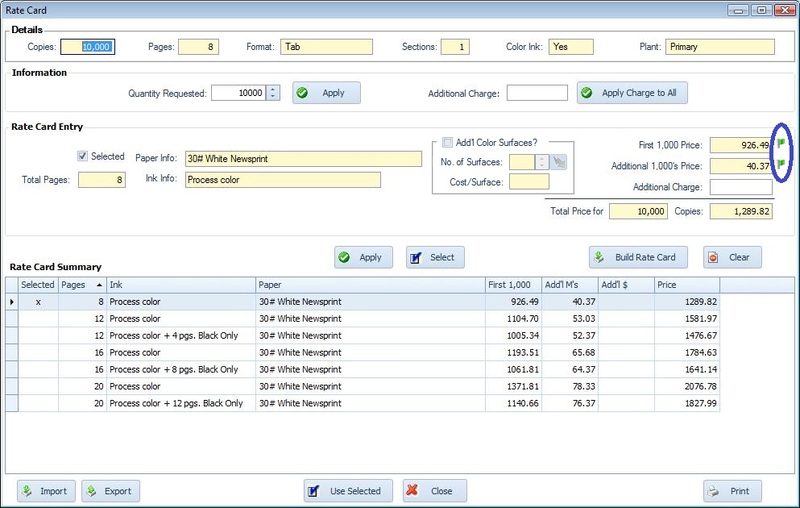 When generating reports, your custom template is loaded and information is filled in automatically. Default templates are included and you can modify these by placing various built-in controls like text, pictures, charts, grids, etc. onto the report template to include your logo or company information. There are four built-in designs for the Rate Card reports with options for including a Cover Letter and a specific Quantity. The non-editable reports generated from your customized templates are displayed in a Print Preview window where they are ready for PDF creation, email or exporting.